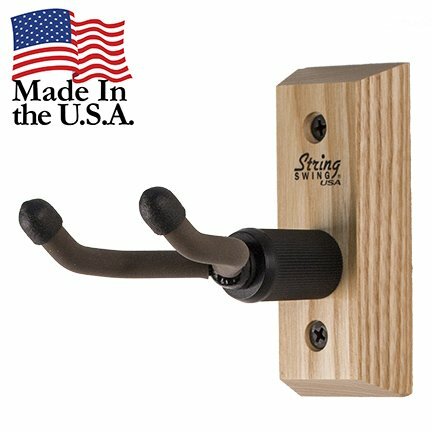 Works great for ukuleles AND mandolins! Yoke pivots to cradle instrument's headstock. For specific yoke/ cradle dimensions, please click here: https://www.stringswing.com/string-swing-options-menu.php. Wood block is made of authentic North American hardwood. Available in four species of hardwood.